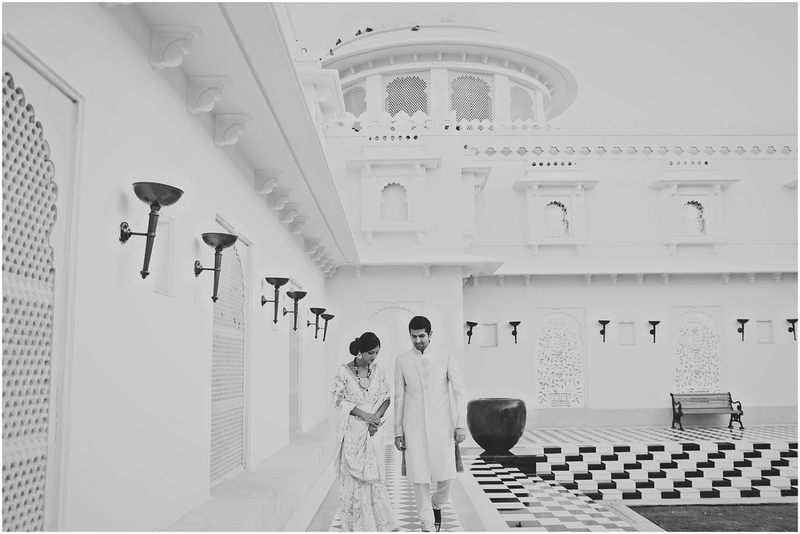 A whirlwind half day engagement shoot in a city that is a photographer's paradise, a tranquil stay at the Fateh Garh Palace overlooking the city was an experience on its own w...ith the calm tunes of Sarangi playing in back. No frame is worth missing at the same time no experience is worth missing even though this is everyone's 2nd/3rd visit, but we lived it all as much as we could. Susmita, Pooja and I experienced the magic of udaipur with the time we had, including waking up at 4.30am to see the sunrise. The recipe for the e-session had numerous ingredients - a lot of planning, hours of discussions on concepts, numerous pins on a pinterest board, dedication from the bride (and groom) to be discussing styling concepts and last but not the least, all the stars lining up and no hiccups on the day of the shoot except, I could have had another slot for sunrise or sunset as there was nothing worth missing from the beautiful spa pool at the Udaivilas to the boats in lake pichhola and the monsoon palace. I would like to thank Payal & Shangril for all their dedication, given the time constraints, travel and crazy schedules during their engagement which took place in Ahemdabad the next day. They worked effortlessly and gave us so much freedom as well as a platform which was needed to create stunning imagery. The regal locations, the earthy tones to the amazing backdrops of the city palace and Udaivilas, and cultural richness in the city made the shoot special to all of us. From Shiv Niwas Palace to Udaivillas, and a short fashion stint in the market, Sarees by Sabyasachi Mukherjee that were picked by Payal and a saree dhoti look styled by Susmita, that was created by us on paper on our 16 hr flight from Newark to Mumbai. The saree was just something I happened to pick from my mother's wardrobe the day I was catching my flight from Houston to Newark. It was my father's first gift to my mother on their wedding night and is very special to them. I felt it would be a great way to revive this look and Susmita made it work like a charm for our one editorial concept on 'Basanti'. 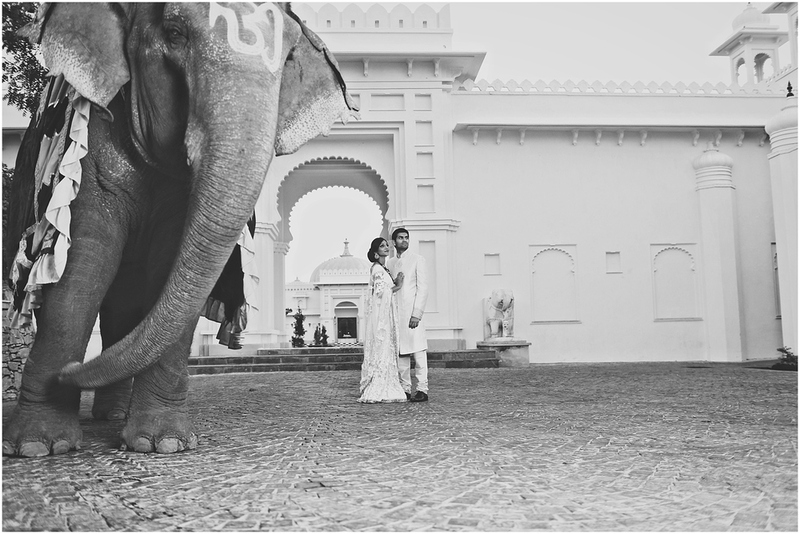 Wehad everything from a horse carriage, elephant and a cow( by the ghaat) to create a row of images that were mixed in approach from editorial to fine art and minimalist to some that were purely fashion driven. But we couldn't have pulled it together without the help of a young talented dynamic and a very hard working photo assistant and an excellent photographer Pooja, who looked into every minute detail to ensure we had a smooth shoot all along as well our Location Manager/Line Producer Anil & his team. I can't thank him enough for helping us round the clock for two days with transport arrangements, scouting, permissions and ensuring we have access to everything we needed, even his vest for one of Shangril's looks:-) Lastly, my sincere gratitude to the team of Udaivillas for their astounding hospitality.